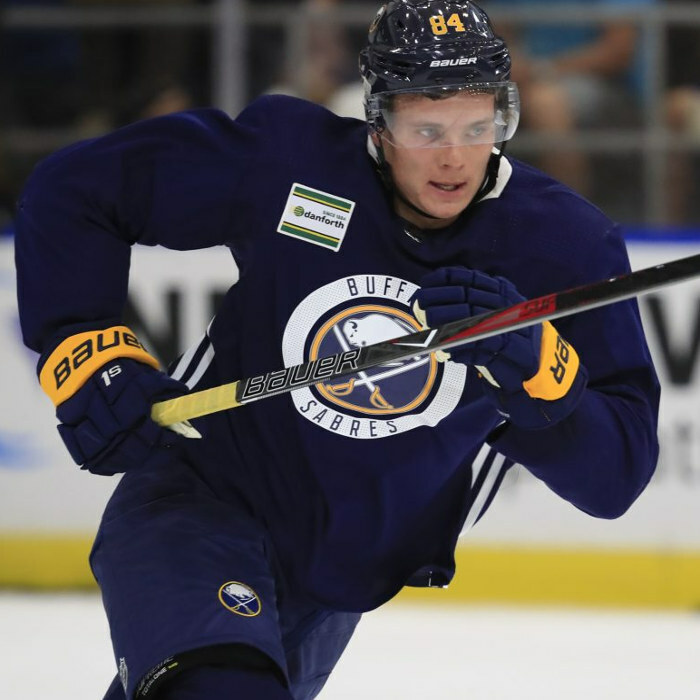 Victor Olofsson (born July 18, 1995) is a Swedish professional ice hockey forward currently playing for the Buffalo Sabres of the National Hockey League (NHL). Olofsson was selected by the Sabres in the 7th round, 181st overall, at the 2014 National Hockey League (NHL) Entry Draft. Olofsson made his Swedish Hockey League (SHL) debut playing with Modo Hockey during the 2013–14 season. At the conclusion of the 2015–16 season, Olofsson was unable to prevent Modo from relegation to the HockeyAllsvenskan. On April 3, 2016, Olofsson signed a two-year contract to remain in the SHL with Frölunda HC. At the conclusion of his contract with Frölunda HC following the 2017–18 season, Olofsson was signed to a two-year, entry-level contract with the Buffalo Sabres on April 24, 2018. Olofsson made his NHL debut for the Sabres on March 28, 2019. He recorded an assist in a loss to the Detroit Red Wings. He scored his first NHL goal in his second game two days later, a loss to the New York Islanders.